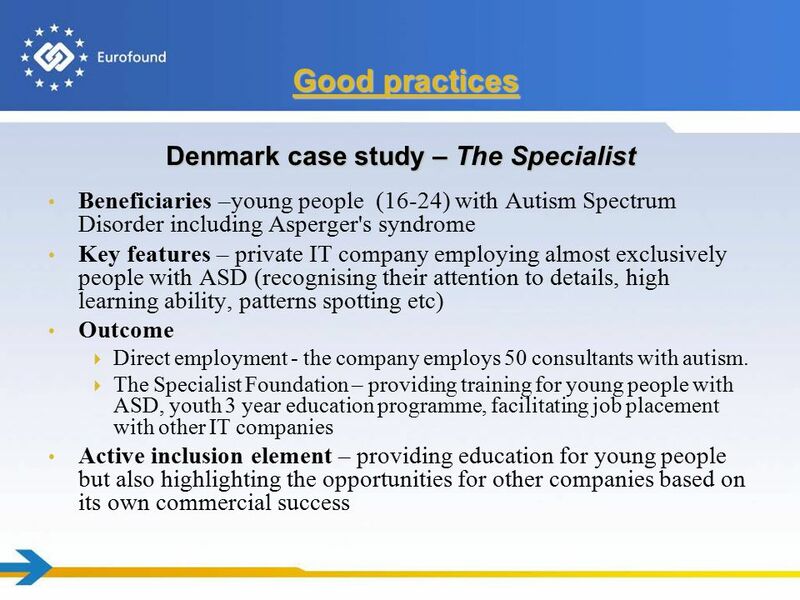 Active inclusion for young people: Examples of good practice Robert Anderson 26 April 2012, Horsens Expert Conference on “Youth: Employment and Inclusion. 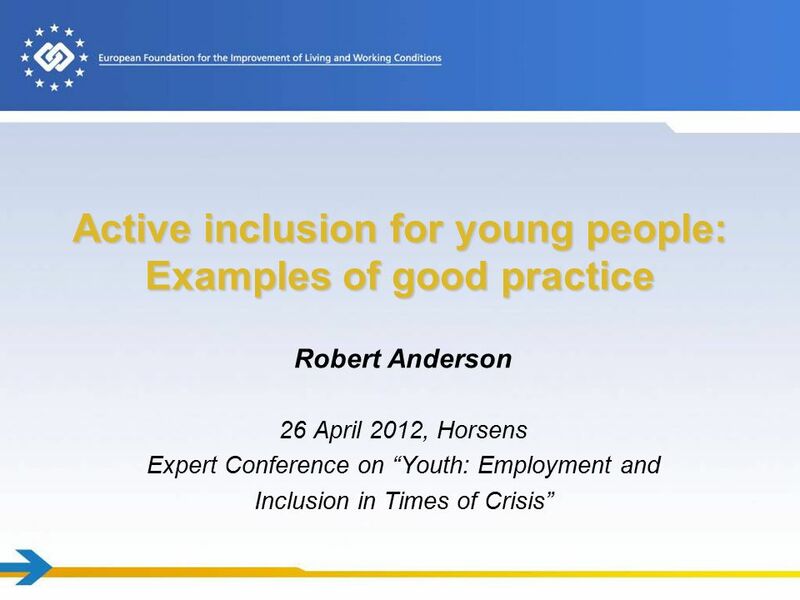 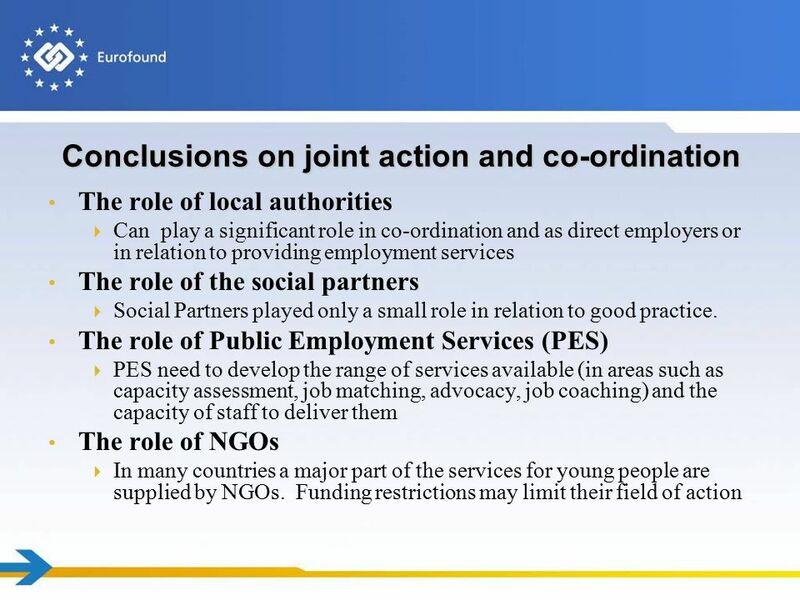 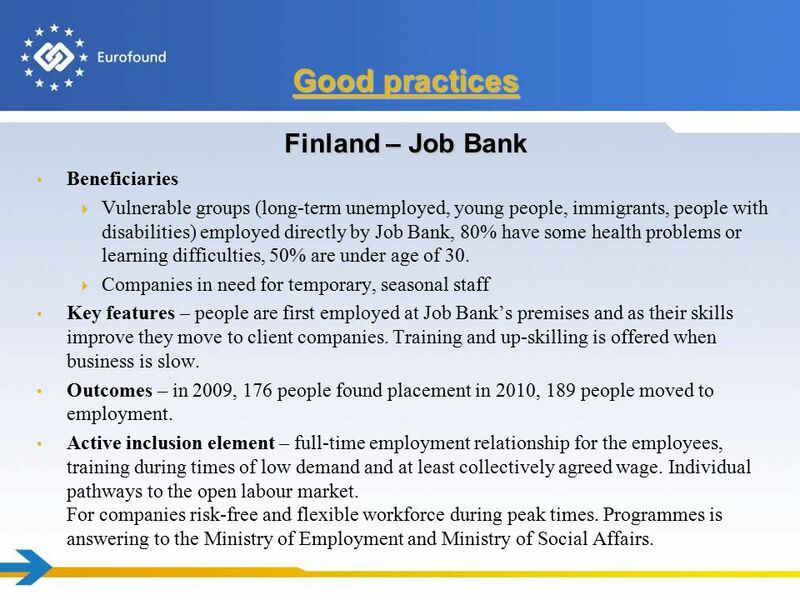 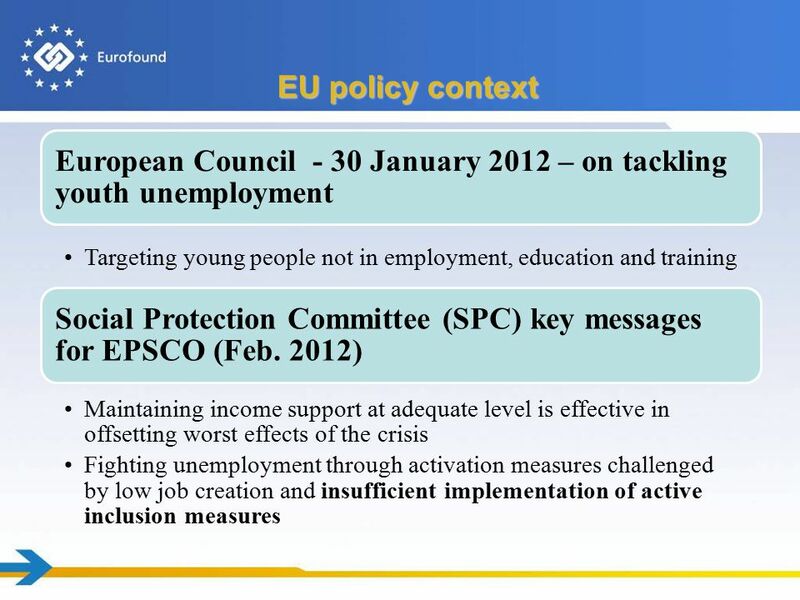 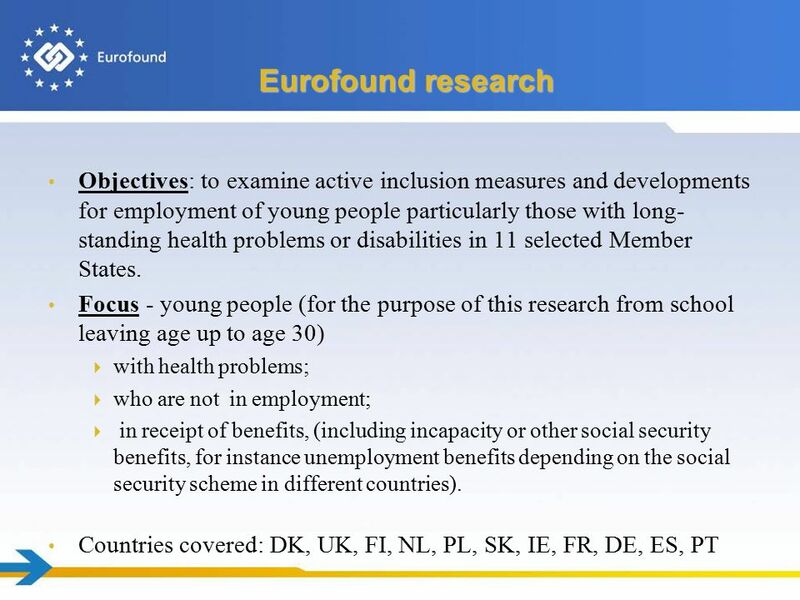 Download ppt "Active inclusion for young people: Examples of good practice Robert Anderson 26 April 2012, Horsens Expert Conference on “Youth: Employment and Inclusion." 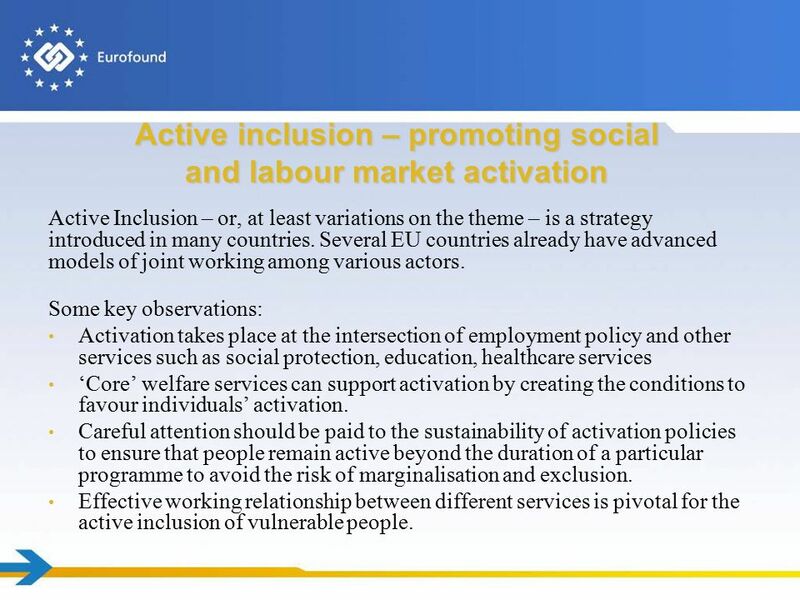 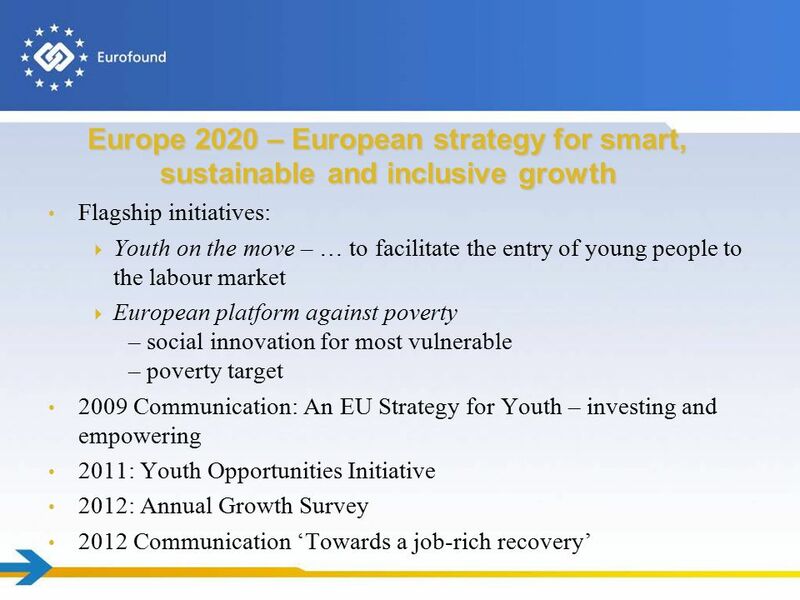 Draft Joint Employment Report 2013 Lars Michael Engsted DG Employment, Social Affairs and Inclusion. 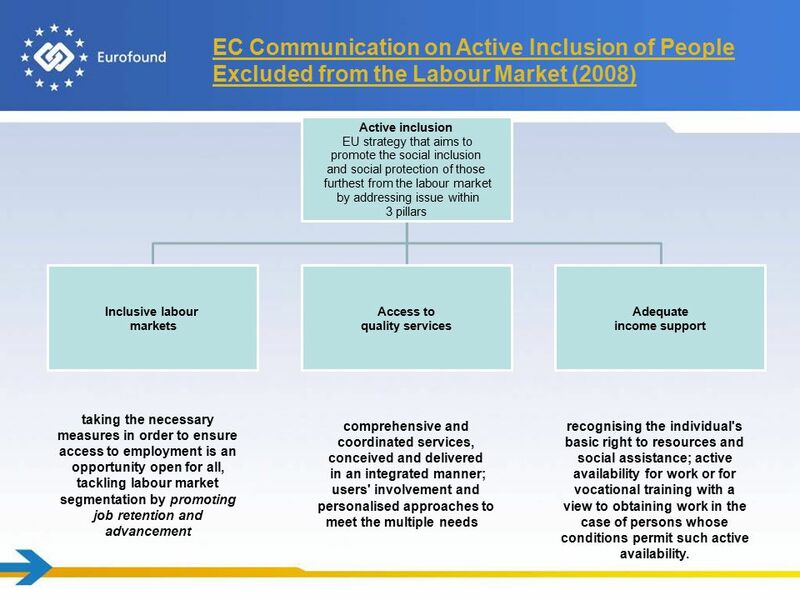 EPC/SPC Joint Report on Pensions Aurelio Fernández – SPC Chair Assuring adequate pensions and social benefits for all European Citizens Liège, 7-8 September. 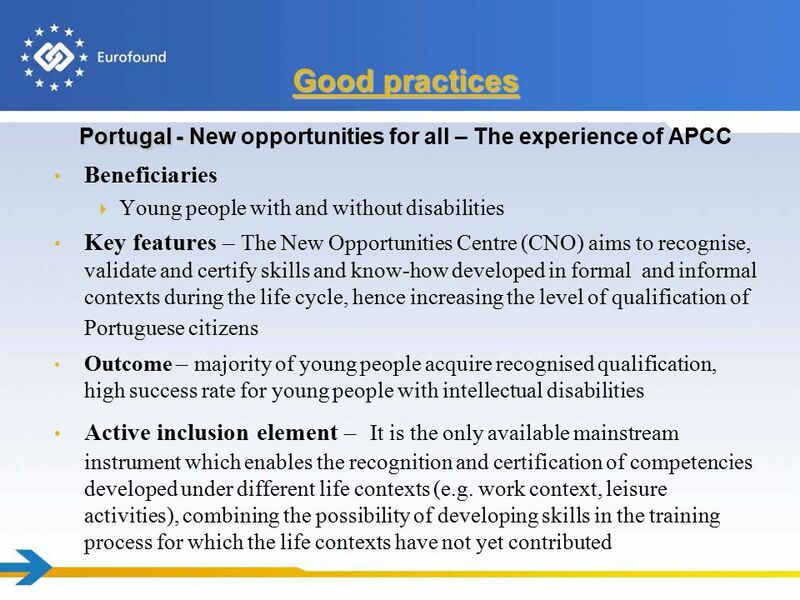 1 Maintaining quality in specialist practice Conference on the accreditation of CME-CPD in Europe - Contributing to higher standards in medical care 18. 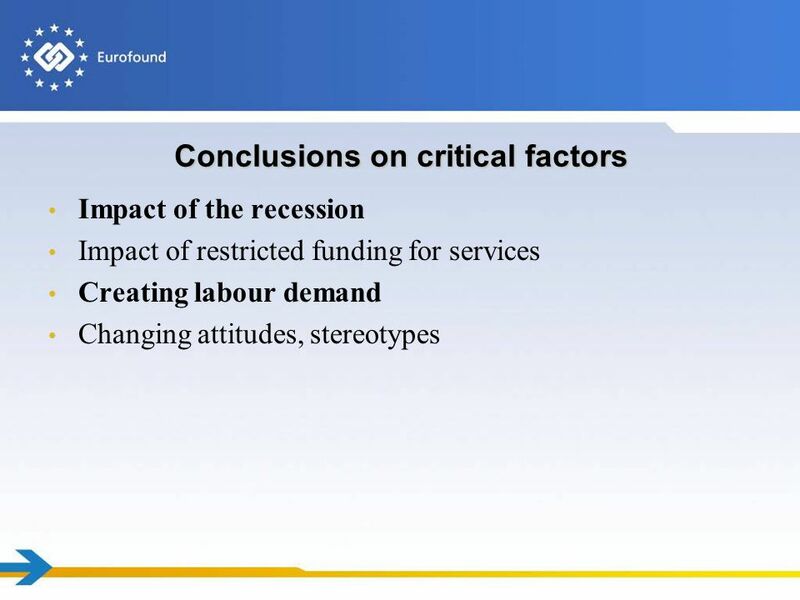 AGEING AND EMPLOYMENT POLICIES THE NETHERLANDS WORKING BETTER WITH AGE Dutch Ministry of Social Affairs and Employment, Wednesday 16 April 2014 Stefano. 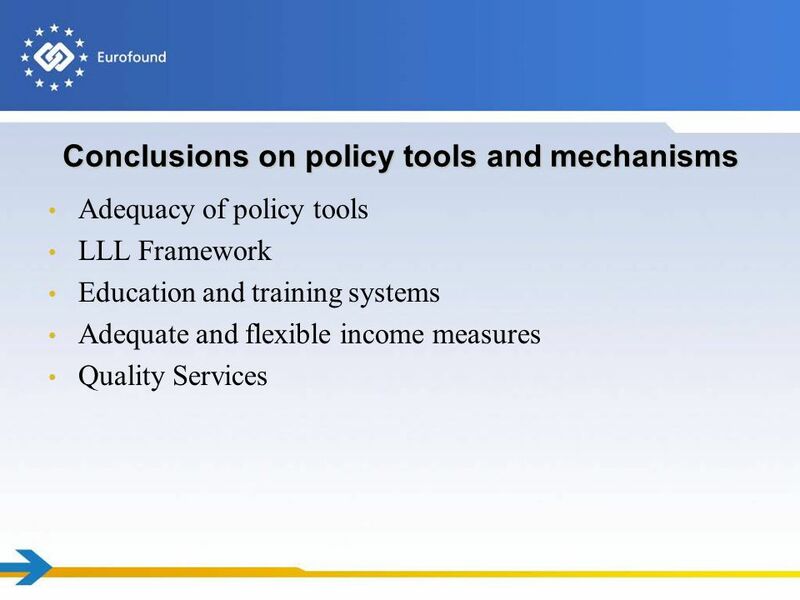 Renewed European agenda for adult learning – perspective of Member State Stanisław Drzażdżewski General Counsellor Ministry of National Education Poland. 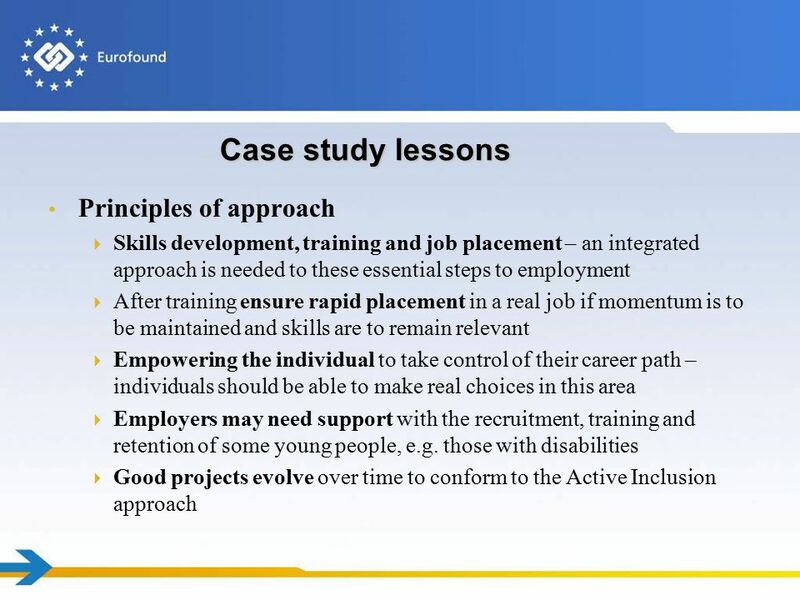 Developing an Inclusive Labour Market in Ireland: role of Action Plan for Jobs; Pathways to Work Bríd O’Brien, Irish National Organisation of the Unemployed.